Listening to the song gave me vibes of all of the different religions! You really don’t realise until learning about all of the different traditions they do and that the Jews actually have 2 New Years!! That was probably the most surprising fact I have heard about the Jewish. This was a really fun and interesting religion to lean about because their new year is at a different time! 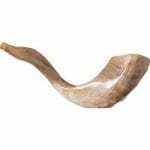 I am really enjoying learning about rosh hashanah because it was intresting . I really enjoyed the song we sung in this assembly. Week 3 . . . . . . what’s going on in classes?